Economical horizontal blinds make a subtle statement and come in varying slat sizes so you can create the look that perfectly fits the scale of your window. Improve your view with larger slats, or ensure that your blinds provide the level of privacy you desire with routeless blinds and cloth tapes. 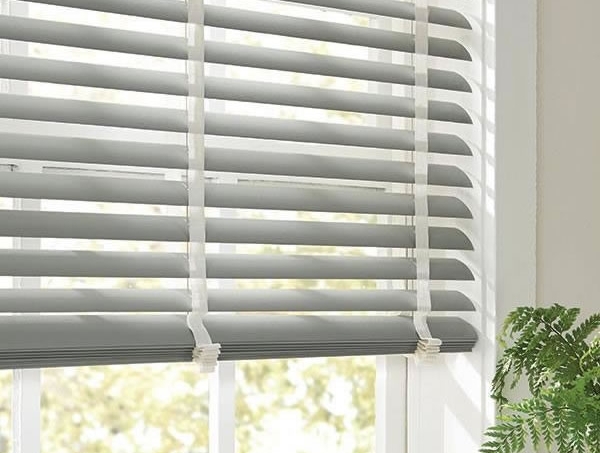 These classic blinds feature an anti-static finish that resists scratches and stains and repels dust. Designed to coordinate perfectly with our vertical blinds, vinyl horizontal blinds offer extra-thick PVC slats for improved privacy, durability, and energy efficiency.